File photo: Ariel view of an IDPs camp in Borno State. The United Nations Office for the Coordination of Humanitarian Affairs (UN OCHA) has announced the resumption of operations in Rann, a town in Borno State. The agency announced the decision in a statement on Friday, about four weeks after it withdrew humanitarian operations in the town following the death of three aid workers. According to the Head of Communications of the UN Relief Wing, Ms Samantha Newport, the decision to resume operations follows several security assessments by the UN and non-governmental organisations. While daily operations are expected to continue, Newport noted that the aid workers would not stay overnight in the community until security conditions are met by the Nigerian government. She further disclosed that the World Food Programme is planning to distribute food to at least 61,000 people in March. The UN official stressed that pre-positioning of food was important ahead of the rainy season which starts in June, cutting off road access to Rann. However, humanitarian organisation Médecins Sans Frontières (MSF) has yet to resume operations after it suspended its service in Rann following the attack. 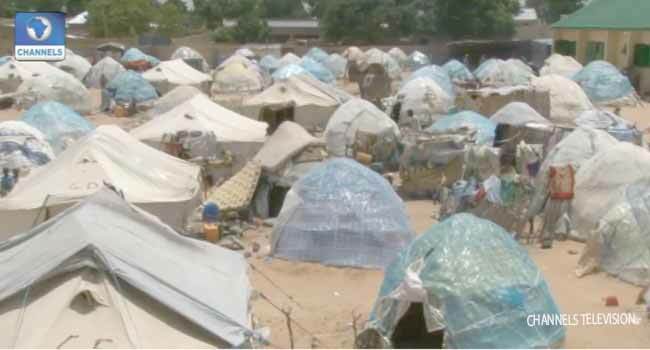 Boko Haram terrorists had on March 1 attacked a camp of Internally Displaced Persons (IDPs) in Rann, killing three aid workers while three others were injured, and a female nurse said to have gone missing. Two of the deceased workers were contractors with the International Organisation for Migration, working as coordinators in the camp while the third was a medical doctor employed as a third-party consultant with UNICEF. The UN and partners are providing life-saving emergency assistance in Rann – including food, shelter and medicine to over 80,000 women, children and men, and among them are 55,000 IDPs.